You are here: Home / Barefooter Stories / Training, perseverance and knowledge! Ever wondered what the training regime was like for an athlete? We recently sat down with Nick Fadden to hear about his training regime and what he does to ensure his body is able to perform at the highest level. Q: You have previously competed in 800m, 400m and 400m hurdles but have recently made the switch to the decathlon, competing in 10 events over 2 days. Tell us what your training schedule looks like and what inspired you to change events. A: My training schedule is a bit of a funny one with work. My day starts with a 7am gym session 3-4 times a week. This incorporates programs that work my entire body due to such a variety in my events. I will try and squeeze in a quick 5-7km run at lunch time every day, I like to keep the pace for the overall run below 4min per km, it help flush my legs from gym in the morning. In the afternoon I have two track sessions during the work week and one on the weekend, so Monday will be my toughest session for the week with heavy lactic session – long reps up around 300-400m per rep at a high intensity. Wednesday will generally be my speed session for the week and can be 60m -200m reps looking to really sit at the 90-95% effort range (favourite session because it’s shorter). Wednesday usually includes hurdles depending on how the legs are feeling. Tuesday is plyometrics, shot put and high jump, I can be at training until 9pm if I really working on particular aspects of shot put or high jump. Thursday is pole vault and long jump with another long run. I like to do it in an interval fashion that my mate showed me: 90secs on 60 off, 60 on 30 off, 30 on 15 off 15 on etc. It’s great for my technique do this. I get Friday off track so I love to go rock climbing as a bit of cross training with a quick plyometric session. Saturday is my biggest day with high jump, shot put, javelin, discus, pole vault, and my last track session which is a longer one. My bread and butter (training involves) either 10x200m or 10x400m, they are all about maintaining my pace through the entire set. Sunday is a long jog and my day to go do some more adventurous sports. So welcome to my silly training week! Q: What lead you to switch to Decathalon? A: My inspiration to do the switch to decathlon was my good friend and training partner Cedric Dubler and coach, Eric. After watching Cedric qualify for the Rio Olympics I thought it’d be fun to switch up what I was doing and my coach thought Cedric would need more training partners for all of the events. Q: Outside of athletics, you are regularly chasing adrenaline in some other way. Tell us more about your other favourite activities and why you’re passionate about them. A: My favourite sports outside of athletics would have to be climbing, white-water kayaking, snow skiing, surfing, wake boarding, sailing and cycling (road and MTB). Each of these give me new challenges and an escape from normal training and work. With such a busy training schedule I’m always looking for something different which I can go to new places to experiences. I get to meet lots people who are passionate about the same sports and guidance on how to really get the most out of each of the sports. Q: You are almost finished studying your musculoskeletal therapy degree – how does this help you take care of your body with all the full-on activities you put it through? A: Having learnt about the body it has allowed me to understand when my body has had enough and how to make the most of it when I’m training (although I still push it to its limits). I’ve learnt how to increase my range of movements and decrease any restrictions that I may have from prior injuries and from training. This allows me to do such a different range of activities. From studying this degree it allows me to understand and appreciate the treatment, advice and homework I get from sessions with Barefoot Physiotherapy and other health practitioners I see. If you would like to learn more or book in an appointment with one of our physio’s click here! 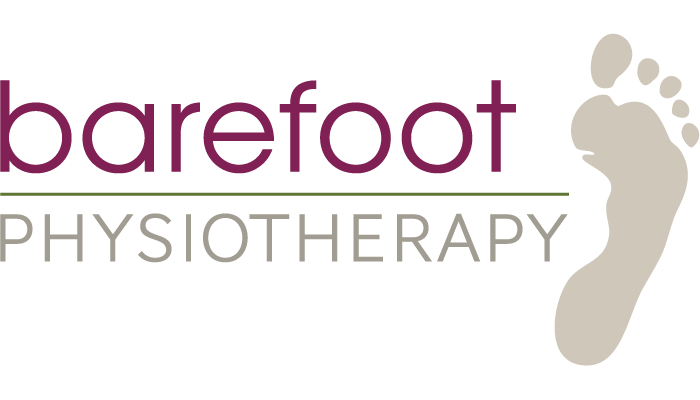 https://www.barefootphysiotherapy.com.au/wp-content/uploads/2017/03/Nick-Fadden-4-300x300-1.jpg 300 300 barefoot_admin http://www.barefootphysiotherapy.com.au/wp-content/uploads/2017/03/Barefoot-Physio-Brisbane-South-Southside-Brisbane.png barefoot_admin2017-03-02 03:00:012017-07-10 05:44:37Training, perseverance and knowledge!